Welcome to the interwoven world of Lois Gaylord, where everything is connected. Her deep connection to Spirit and “fiber-brained” ideas have brought her to avodat ha’lev, the work of her heart. Lois weaves these two passions into her ceremonial cloths. 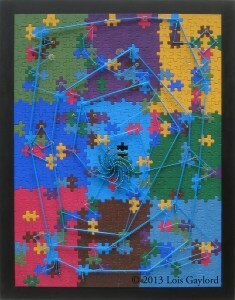 And through her works of art, she explores the connections between our daily lives and Spirit. 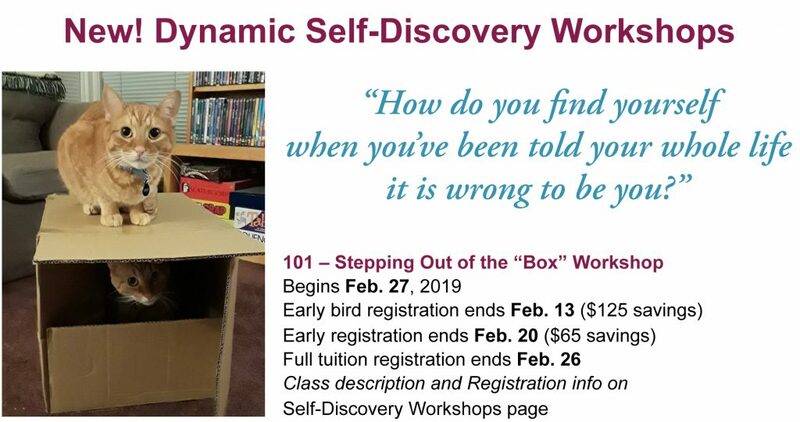 New Classes for 2019 begin on, Mar. 12th. From yarn to finished cloth, learn the fundamentals of this ancient craft. Series of four two-hour classes: 3/12, 3/19, 3/19, 3/26, 6:30 – 8:30 p.m. Following Spring sessions start on Apr. 9th & May 7th. Classes are also open to teens with an accompanying adult. Home-schoolers are welcome. Class limited to 7 students. 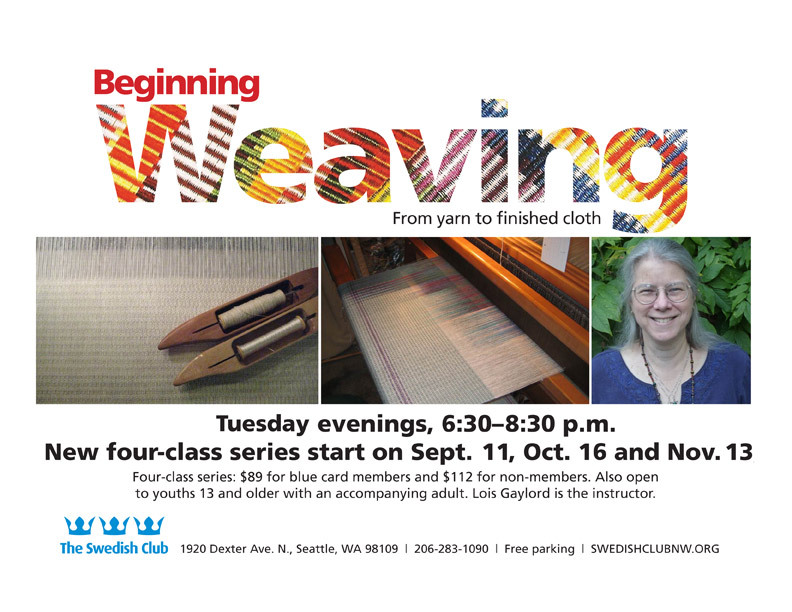 Contact the club to register: (206) 283-1090 or rsvp@swedishclubnw.org – See Programs & Classes Page for class description. One day, 4 hour class covers the basics of color theory including terminology, the color wheel, and explores different types of color relationships. In other words, why do those colors look good together, and those other ones don’t. Contact Schack to register, class needs a minimum of 3 students by March 3rd to run. See Programs & Classes Page for full description. One day, 4 hour class expands on the color wheel and basic color relationships. Come explore how Hue, Value, Saturation, and Contrasts can affect the appearance of a color. Develop a deeper understanding of how colors work together. Contact Schack to register, class needs a minimum of 3 students by March 3rd to run. 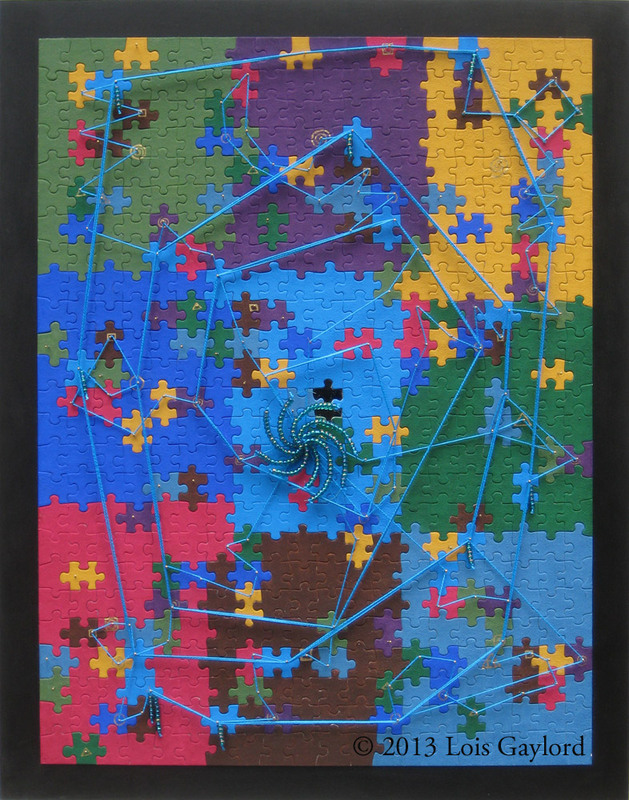 Follow the threads that connect the pieces of her puzzle on her blog Interlaced Musings. Discover how she got here on the about page. Find out what she’s doing on the calendar page. See more of her art on the gallery page. Learn more about ceremonial cloths and tallit on these pages. Mission: To create art with a spiritual focus or for spiritual use, art that celebrates the threads of spirit that connect us all. 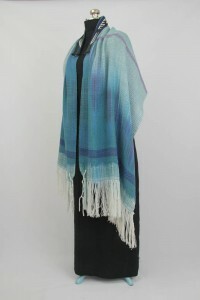 To make beautiful cloth in support of a person’s spiritual practice.